The final episode of Cardfight!! Vanguard Asia Circuit, which aired just two hours ago in Japan, confirmed the name of the much-anticipated Blaster Blade remake, Blaster Blade Liberator. Set to be featured in TD08: Liberator of the Sanctuary and BT10: Triumphant Return of the King of Knights, this unit will be a key card in the Gold Paladin clan's Liberator series subgroup. The card's skills are not known, but the power and shield are 9000 and 5000 as with his Royal Paladin incarnation, and he is speculated to have both Liberator-based skills and skills which will contribute to a double clan hybrid play style between the Royal and Gold Paladins. 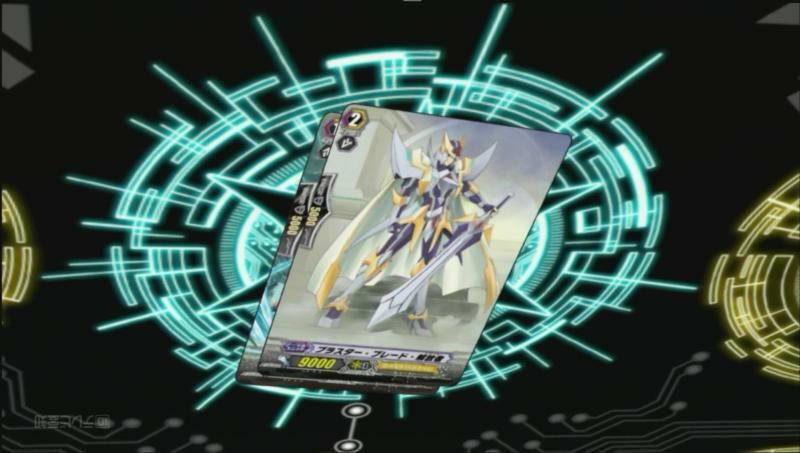 As BT10 will also feature Royal Paladin cards along with its Gold Paladins, as well as a reprint of the original Blaster Blade, the nature of these skills is highly anticipated. Furthermore, three new cards based off of older Royal Paladins have been revealed. [AUTO](RC): When this unit attacks, if you have a vanguard with "Liberator" in its card name, this unit gets [Power]+3000 until the end of that battle. AUTO [R]: When this unit boosts a «Gold Paladin» vanguard, if the number of rear-guards you have with "Liberator" in their card name is 3 or more, the boosted unit gets Power +4000 until end of that battle. 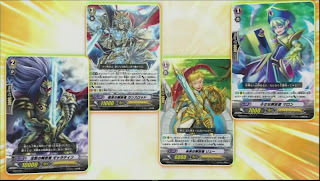 These cards are based on the Little Sage Marron, Knight of Silence Gallatin and Knight of the Future Llew, while Marron's skill originated with the Knight of Friendship Kay. The new cards are being very poorly received in the wake of the Asia Circuit's extremely controversial ending, which will be broadcast in English in just two hours.